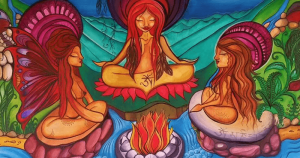 Take some time to be with fire in a sacred way. Let it enchant you, purify you, and empower you as it has done for countless others throughout the centuries. Fire can heat your food or burn down your house. 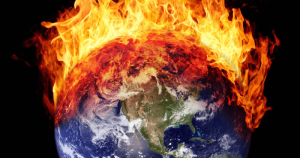 It is a force of destruction, creation and purification. We can be engulfed in flames or on fire with inspiration. The raw power of fire was recognized by the ancients who infused this element with prayer, intention, and reverence. Today it still carries much value in our lives and can be used in positive ways to enrich our connection with the divine. Fire can be used to enhance your spiritual practice or support you by helping you purify and set intentions in your own life. Many personal fire rituals are based on the ancient ceremonies handed down through the ages, in all cultures. 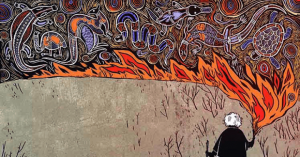 Here are a few fire ceremonies from around the world. Fire has been used in ceremonies around the world for countless centuries. 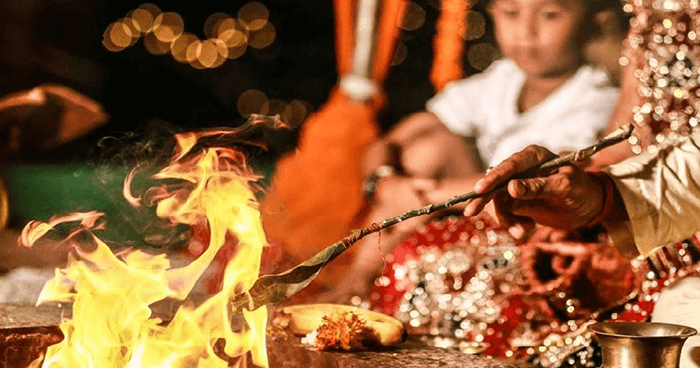 Yajna, the Hindu fire ceremony literally translates to mean “sacrifice, devotion, worship, offering”. It basically refers to any ritual done in front of a sacred fire, often accompanied by songs or mantras. This is an ancient practice developed to help us heal from trauma, and disconnection with the spiritual realm. The divine masculine (Kukai) and the divine feminine (Amaterasu) are said to come into balance through the Yajna ceremony. The ritual is designed to help us clear any obstacles so that we may attain a more perfect harmony with ourselves and the spiritual realm. Yajna is a sacred Hindu fire ceremony to connect to the spiritual realm. Yajña, sacrifice, is an act by which you surrender something for the sake of the gods. 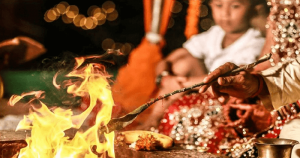 The energetic vibrations that are invoked during a traditional Vedic fire ceremony are said to represent the most powerful presence of the Divine on Earth. The upward motion of fire is said to be similar to the divine kundalini energy. It is believed to be a powerful purifying element, especially for any type of negative karma you may have gathered from non-virtuous behavior. 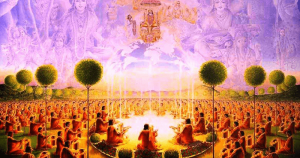 Yajna involves surrendering something to the gods as a sacrifice. 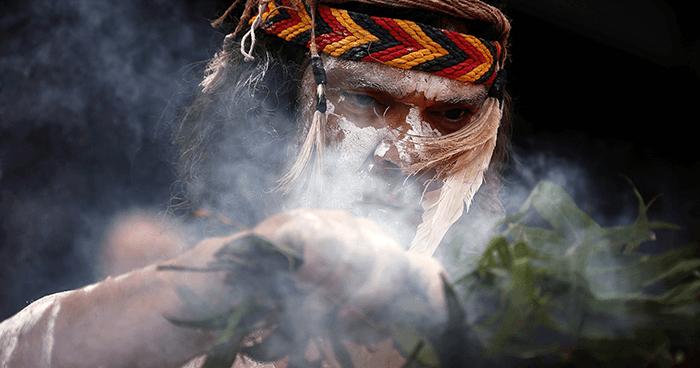 Smoking ceremonies are an ancient custom among Indigenous Australians to ward off bad spirits. 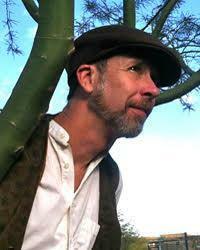 The ceremony involves collecting various native plants that are used to produce a wet, steamy smoke. These aromatic plants, the most widely used of which is the Emu Bush, are believed to have powerful cleansing properties. The leaves are set alight and the smoke purifies the space where the ceremony takes place. 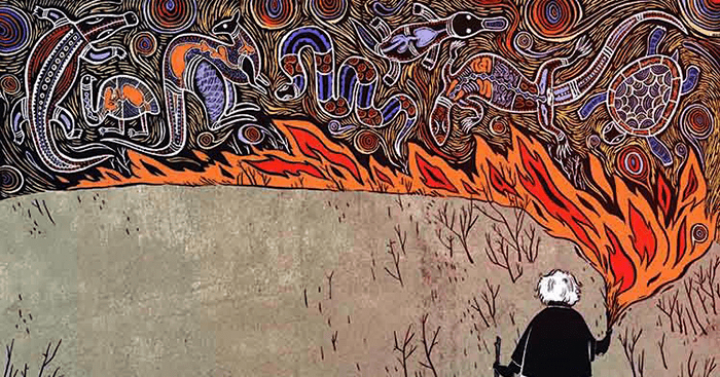 The healing smoke rises in a column towards the sky to keep unwanted spirits at bay, acknowledge ancestors and pay respect to country, honouring the strong Aboriginal connection to the land and sea. The smoking ceremony fans the flame of connection to the spirit world, and is usually only performed for major events, such as celebrating births and mourning deaths. Smoking ceremonies use the smoke from native Australian plants for cleansing. 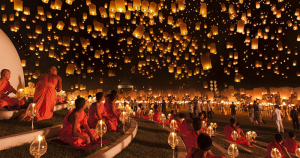 A Peaceful Ritual Fire Offering may be performed to pacify the results of unwholesome action, or to clear away obstacles and defilements. It may also be done to forestall impending difficulties and illnesses which have manifested themselves through dreams and inauspicious omens. Peaceful and Increasing Ritual Fire Offerings can be performed for both one’s own and other’s benefit. Whereas the Subduing and Forceful Rituals can only be performed on behalf of others, for to forcefully subdue others for one’s own benefit would contradict the conduct of a Bodhisattva which is fundamental to Buddhist tantric practice. 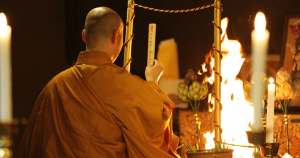 The four types of ritual fire offerings are peaceful, increasing, subduing and forceful. The offering of smoke in prayer is central to ceremonies in traditions around the world. In a pipe ceremony you have a powerful combining of elements with fire to symbolize the balance of life. The pipe ceremony is a sacred ritual for connecting worlds. It is a link between the physical and the spiritual. The stem of the pipe represents the masculine principle, the bowl represents the feminine principle, the tobacco is an earth offering, and the breath is air. Fire completes the ceremony with a purifying force as it is drawn over the tobacco/herbs through the bowl and stem, creating smoke that slowly drifts and rises. This is how the prayers are delivered to the spirit world. The offering of pipe smoke is how prayers are delivered to the spirit world. There are many simple ways you can take inspiration from these ancient practices and bring the power of the fire element into your life. You can make physical or emotional offerings for the fire to consume. Not only does fire consume, it can transform as it does with dried leaves that turn into a delightful aroma when they hit the flame. There is also an element that implies some sort of sacrifice or giving something up. Mesmerized by its warm flicker it is easy to dream, reflect, give thanks, and let go with a sense that fire will somehow receive it. Mesmerized by its warm flicker it is easy to dream, reflect, give thanks, and let go with a sense that fire will somehow receive it. 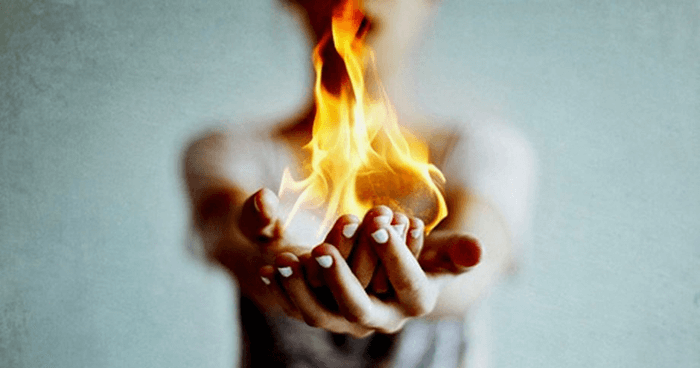 A sense of well-being and health is always enhanced through connecting more deeply with fire. Fire in ceremony has the power to cleanse, transform and purify. Candles have been used in rituals and devotional practices and can add a sacredness to any simple ritual you may perform on your own at home. Lighting a candle is a symbolic way to bring the light of the Divine into your consciousness. Candles are used by Christians, celebrated with the Jewish tradition of Hanukkah, brought to shrines, burial sites, and even Halloween jack-o-lanterns. Fire is still with us today for practical uses and for ceremonial use. The act of lighting a candle, writing in a journal by candle light, or putting one on the table before dinner signifies a call to the senses, an invitation to be fully present. Candles are lit during ceremonies to help create a sacred space. As humans everywhere sense a great awakening, it is clear that something massive is unfolding on our beautiful little planet. Enlightenment is not a far-off mystical concept – it is our true essence at the core. It is the pureness in a baby’s laughter that is within all of us, but may be buried beneath wounds, fears, and distractions. This is a fire of passion, compassion, purification, joy, and gratitude for life, and it can spread through communities and across nations. In the same way that we each yearn to reconnect with our purest consciousness individually, so too does our whole species collectively. We can feel it when we slow down and tune in, and people have used fire for this purpose since the beginning of time. This is a fire of passion, compassion, purification, joy, and gratitude for life, and it can spread through communities and across nations. Fire can be used in ceremony to spread healing across the whole world. What are you grateful for? What do you want to let go of from your past? What do you want to set an intention for? Write these things out in a journal and contemplate them. Light a candle and hold these thoughts in your heart and your mind, let the flicker of the flame mesmerize you. If you are in a safe place, offer some sage or cedar to the fire. Be creative, as something deep within your biology knows fire and you have many generations of ancestors who spent sacred time around fire. Tune into all of this and create your own ceremony. We are at a potent, beautiful and critical junction on the planet. We have all come to understand the importance of healing for the sake of all life and our future. 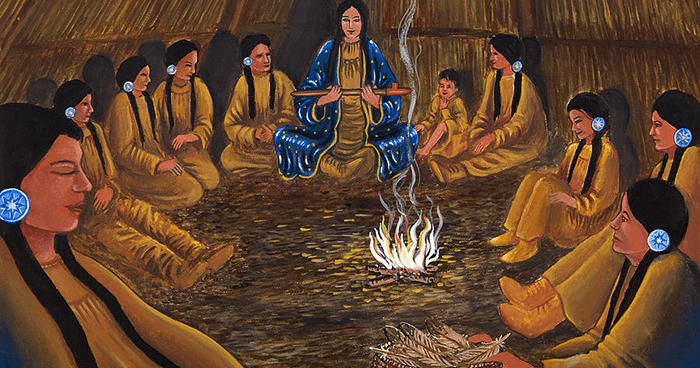 We have an opportunity to move out of the chaos and choose peace and perhaps we can learn from traditions around the world who have used fire in ceremony for centuries. 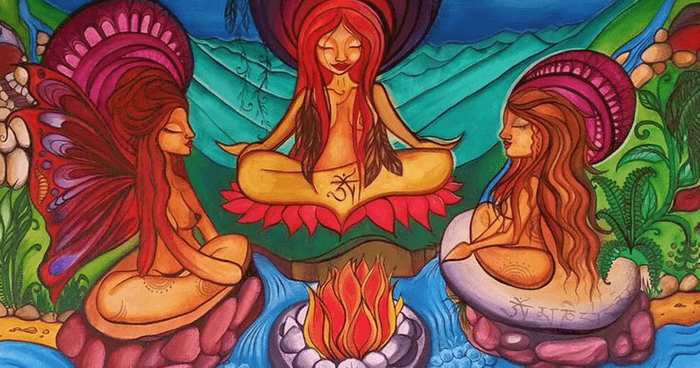 Take some time to be with fire in a sacred way. Let it enchant you, purify you, and empower you as it has done for countless others throughout the centuries.